Mildred “Mickey” Friedman is a monumental figure in the history and culture of the Walker—a talented designer, innovative publications editor, and forward-thinking architecture and design historian, who was a strong creative force in all aspects of the institution. We’re saddened to hear of her passing on September 3, 2014, and we extend our condolences to her husband, Walker director emeritus Martin Friedman, and her family. I first came to know Mickey when I joined the Walker in 2008, twenty years after she and Martin’s respective retirements and nearly fifty years after they first put their creative marks on the Walker. I could not have been met by a more gracious and generous spirit than Mickey, both energetic and curious, and voraciously interested in what was new and progressive in culture today. I relished my regular annual visit to their New York loft. Mickey’s commitment to researching and giving platform to the new and to supporting emerging voices in architecture and design stands out for me as one of her greatest contributions. It is not surprising that while at the Walker, she established a fellowship in design that persists to this day. We are proud that this fellowship now carries her name, the Mildred S. Friedman Design Fellowship. Mickey will be deeply missed by all of us at the Walker, and her commitment to excellence and integrity and her great passion for design will continue to inspire us for many years to come. To commemorate Mickey’s extraordinary life and career, we’ve invited her friends, professional peers, and colleagues from her Walker years and beyond, to share their memories. Please check back as we add more reflections in the coming hours and days. To share your own perspective, please leave a comment or email us. Walker staff used to jokingly call the place the “Mom and Pop Art Shop” back in the early 1980s when I had the great pleasure of working there. Mickey was always the calm, inquisitive, bemused, and decisive one, while Martin bustled about fretting over exhibition wall colors, second guessing himself, pushing curators for new ideas, and wondering when The New York Times was going to fly out to cover his latest show. Mickey would study and think through an issue, resolve the problem, and then speak. When she did, all the angles had been considered and the solution settled. Martin, by contrast, is an impresario given to imaginative flights, fidgety revisions, and impromptu brilliance grounded in intuition. The contrast in their personalities was a key to the success of their long professional and personal partnership. They depended on each other, trusted each other’s taste and intellect, set the highest standards for staff and themselves, were demanding and imperious, self-deprecating and welcoming, and altogether deeply human. Working late was routine on nights before big shows opened, but no one resented the unpaid imposition because Martin and Mickey were always there too, sitting on the basement floor eating pizza with the installation crew. Both brilliant with words, they could be wickedly funny in dismissing some public eyesore. The tacky, copper-paneled Minneapolis public library of the day looked to Martin like “a Gold Bond stamp redemption center.” After a visit to Rome, where the Vatican was then cleaning up Michelangelo’s Sistine Chapel frescoes, Mickey mischievously sniffed that the gods’ new apple-green and fuchsia outfits were “too Puerto Rican.” It was politically incorrect, of course, but hilarious too. For the just-out-of-grad-school curators and programmers who landed there, the Walker was a crash course in professionalism. Mickey, being quieter, sometimes seemed more intellectual and grounded in history, hence her innovative de Stijl show and history of graphic design in America. She was always interested in first principles, the ideas and concepts that drove design. She wanted to know what was fresh and innovative, thus her new-architect exhibits with Frank Gehry, et al. All of her projects were executed with clean lines, crisp type, clear colors, and minimalist forms. Those principles became a stylistic vocabulary that marked many of us for life. Working at the Walker was, in many ways, the happiest time of my professional life. We were all young then, of course, and part of a wonderful family. I was so sorry to hear about Mickey’s passing. Of course, the news brought back so many memories of the Walker Art Center. I grew up there as a curator from 1983 to 1996, and during that time I worked with Mickey on a number of projects. I was the beneficiary of her commanding sense of design and style, which helped bring the Walker’s exhibitions and publications, already well-known, to the greater attention of the art world. Her eye for design was a key ingredient in the museum’s ability to attract broad audiences to new ideas. I was there when she jump-started Frank Gehry’s career by recognizing and translating his architectural and design brilliance in a groundbreaking exhibition of his work. By employing Frank’s unorthodox use of materials and forms in three dimensions and on a live-sized scale, she took architectural exhibitions out of their cloistered niche to make them enormously popular with visitors! This exhibition was followed by a series of experimental shows created in collaboration with emerging architects (from Steven Holl to Diller & Scofidio) who have gone on to be leaders in their field. Mickey’s insistence on excellence in every aspect of work at the museum set the bar at the highest level, which continues to be a hallmark of the Walker Art Center. Of course, her major commitment, over all others, was to her family and to Martin. Her admiration, love, guidance, and support of her director-husband was in evidence every day. And when he, who seemed indefatigable, might flag on the rare occasion, Mickey would magically appear by his side! Simply remarkable. Mickey was such a handsome woman—tall, thin, a strong but pleasing face, and simply but elegantly dressed. She was also a wonderful mother to her three daughters. I particularly remember Lise, whose gentleness and kindness clearly was influenced by Mickey. And Mickey was so intelligent and creative. Looking back, I am amazed, under her editorship, the wide and very timely range of subjects she chose for Design Quarterly. I believe that publication made an important contribution to design and also architecture, especially the visionary architecture of the 1960s. I had been an avid reader of Design Quarterly long before I met its editor, Mildred Friedman, in 1974 when, as the Vice President of Design at Herman Miller, I was asked by Mickey to help in the exhibition Nelson | Eames | Girard | Propst: The Design Process at Herman Miller. It was my great pleasure to work with Mickey during the process leading up to this iconic exhibit in 1975. This was the beginning of a long friendship, and later I invited Mickey to participate in a review of Herman Miller design programs along with Miller designers Bruce Burdick, Bill Stumpf, Don Chadwick, and consultants Ralph Caplan, John Massey, and myself. This activity, referred to as “The Fertile Ground,” resulted in considerable re-thinking about how the company could build on its great designer’s legacy. Mickey’s contribution to this effort was critical as she brought her long experience as a design curator, writer, and editor to the process. In 1980 I moved to the Netherlands as the head of design at Royal Philips Electronics, and some time later I was contacted by Mickey and Martin Friedman, who were planning a trip to Holland with the board of the Walker Art Center to visit art museums. I recommended visiting the Kröller-Müller Museum and Sculpture Park in Otterlo. I helped organize the visit and joined them in a very successful day. I had not seen the Friedmans again until last year when dining in their favorite restaurant, the Gotham Grill in New York. I sighted them across the room and we renewed our friendship, followed by correspondence. I was preparing a nomination for Mickey for Lifetime Achievement and for Design Mind for the National Design Awards of the Cooper-Hewitt Museum when I received the news of her passing. There is no one more deserving of this honor than Mickey Friedman. Mickey Friedman shaped my life in both direct and indirect ways. As a college kid, it was Mickey’s exhibition of Frank Gehry’s work at the Walker that ignited my passion for design in general, and architecture specifically, an influence that still informs my thinking some 30 years later. I knew there was something out there like that, but had no idea how to get to it; Mickey’s ability to bring worldly intellect to the Walker influenced multiple generations of designers and artists. After graduate school, it was Mickey who made a personal call to Frank on my behalf, and helped me land a much coveted job in his LA office. That experience had a profound influence on my life as a designer, something I cherish every day. I am deeply grateful for Mickey’s immeasurable impact on the world of design, and will remember fondly my experiences with her. Mickey Friedman was a force. To the world at large, her extraordinary exhibitions and publications broke new ground for design as curatorial practice. Her own gifts as a designer and her personal and genuine relationships with up-and-coming talents in the field—from Frank Gehry to Steven Holl to Diller + Scofidio—produced exhibitions and projects of the highest quality. The first of her shows I ever saw was Graphic Design in America, a sweeping survey of the discipline that included a dizzying array of examples from iconic practitioners to emerging voices. It was a remarkable exhibition—at once visually exhilarating, lively, dense, and polished. Beautifully installed in the Walker’s pristine white gallery spaces, it was the kind of presentation that invited complete immersion and repeat visits. I remember feeling awed by it all, and knowing then that the Walker was a place at which I might aspire to work. When I did join the curatorial staff the following year, I recall noticing immediately how the Friedmans had built an institution with a culture of extended family that included not only employees and trustees, but also artists. We all felt secure under the wings of their dynamic partnership, but with that security came responsibility: without question, one was expected to meet their standards of excellence, and with that came mentorship and trust. Mickey’s unwavering aesthetic sensibility infused everything at the Walker—from the banners on the building to the products in the shop to the desk lamps and office furniture. Her warmth as a person, and her enthusiasm for her field, the Walker, and the artists and designers she championed was palpable. Mickey’s legacy is immense, and reaches far beyond the walls of the Edward Larrabee Barnes building she called home for so many years, yet she will be especially missed by those here in the Walker family whom she touched and inspired. Perhaps Mickey Friedman’s greatest talent was as an incomparable spotter of new talent. Alfred Barr, founding director of the Museum of Modern Art, famously said that if fifteen percent of a curator’s picks pass the test of time you’re ahead of the game, but Mickey’s success rate was much higher. Apart from establishing Frank Gehry’s international reputation with the 1986 Walker retrospective (eleven years before Bilbao), her 1988–1991 Architecture Tomorrow series did the same for such then-unknown but now-celebrated figures as Tod Williams and Billie Tsien, Steven Holl, Thom Mayne, and Elizabeth Diller and Ricardo Scofidio. I myself was given a similar boost when in 1979, only five years into my writing career, she asked me to write an essay for Design Quarterly that attracted wide attention because of DQ’s exceptional authority and prestige. 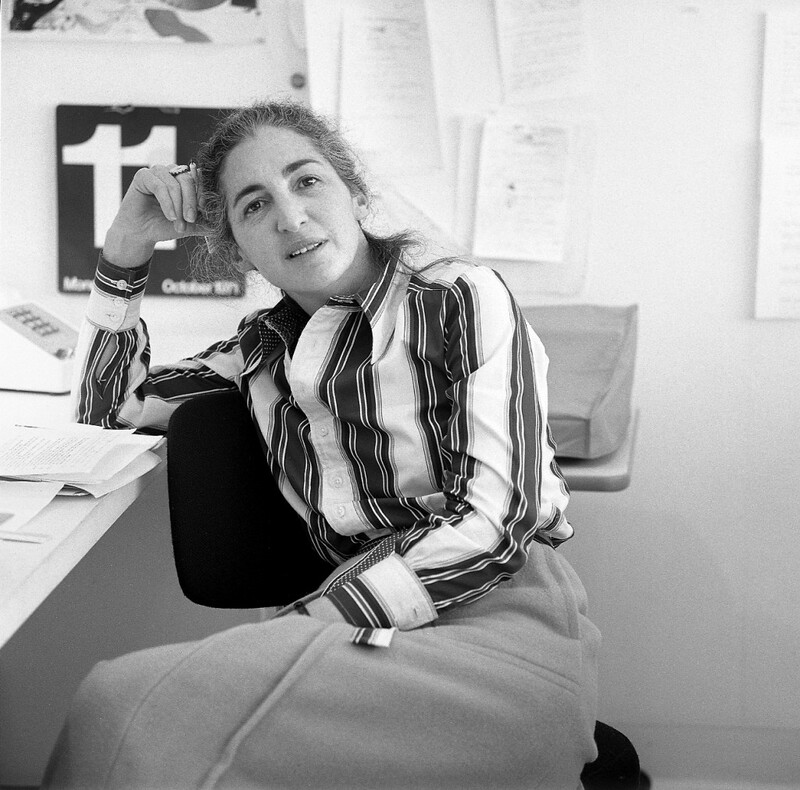 Her long editorship of Design Quarterly marked a high point in the popularization of good design in America, enough in itself to secure her place in design history. The exhibitions she curated after retiring from the Walker were equally excellent, especially her superb 1999 Carlo Scarpa retrospective at the Canadian Centre for Architecture. She was a generous and congenial collaborator, as I found when we served together as guest curators for the Brooklyn Museum’s 2001 Vital Forms exhibition. Mickey Friedman hired me to be the Walker Art Center’s first-ever staff editor in the spring of 1988, and I moved here from Los Angeles with my wife and five-month-old daughter that June. I soon settled into the Walker’s routine 70-hour work week and made common cause with the cast of other dedicated maniacs who comprised the then 50-person staff. One reason I’d been hired was to edit Mickey’s magnum opus, the book accompanying her long-planned exhibition, Graphic Design in America: A Visual Language History. She rightly wanted to keep close tabs on the writing (by a large and far-flung set of contributors) and the editing. But before that engine even got started, there was Adam Weinberg’s hefty Vanishing Presence photography catalogue to edit, plus a book on Frank Stella’s Circuits print series for Liz Armstrong. And because I was the only editor in the joint, I was handed just about every piece of printed matter the Walker cranked out, from the members’ calendar to booklets, brochures, program flyers, and broadsides for the film/video, performing arts, and education departments, annual reports, and assorted whatnot. There was also the little business, in the summer of 1988, of the Minneapolis Sculpture Garden, which opened that September—requiring its own thick set of “ephemera.” After five or six such breakneck months, I asked Martin and Mickey if I could hire a part-time assistant. They shook their heads and shut their eyes. “Edit faster,” said Martin. Editing faster, and editing for precision and clarity, was something at which Mickey excelled. She hated fluff, flatulence, posturing, and imprecision in writing as much as I did. But the wonder of it, to me, was that she could drain the waste out of a piece and rewrite lead and concluding paragraphs at warp speed, seemingly with little exertion. I would hand her my first pass at someone’s tortured essay for the graphic design book at, say, 10 a.m., and it would be back on my desk within a couple of hours, its major problems fixed and the path forward made clear. I learned a great deal about achieving clarity by looking at her edits, and from them how to struggle less with my own. Mickey and I got crosswise many a time, but she never told me how to edit and never failed to support me if I was at an impasse with a writer. Although she thought, like Martin, that there was no limit to the amount of time and energy I (and the rest of the staff) should devote to the Walker—that was the way the two of them lived, after all—I saw that in everything she did, the aim was excellence and quality. It was remarkable, indeed admirable, how often and squarely she hit those targets. I was at the Walker until the Friedmans left, at the end of 1990, and stayed the first four years of Kathy Halbreich’s tenure. As tough a customer as Mickey could be, there were definitely days during that post-Friedman time when I missed her no-nonsense and her sharp eye. There was a follow-up party after an opening in early 1971 at a stately home in Kenwood. Mickey and I were sitting on a wide stairway and I told her that my wife Peggy and I were adopting and that we wanted to name our daughter Zoe. This was also the name Martin and Mickey gave to their youngest daughter. In those days Zoe was an uncommon choice and I did not want Mickey to think we were being copycats. She was very gracious and told me I should not feel that way in the least. I think she was also pleased that we thought the name Zoe was as special to us as it was to her and Martin. There are no words, truly, for me to express how grateful I am and indebted to Mickey Friedman. She, single-handedly, turned my career around, supported the path least taken, and was a dear and warm friend. I am heartbroken with the loss of her in my world, and to the design world at large. Mickey Friedman was a highly regarded, visionary figure in the field of design. She recognized early the architectural genius of Frank Gehry and also was deeply involved in the Walker team working with Ed Barnes in the design of the “New Walker” in the early 1970’s. She was fiercely visionary as to the possibilities of critical historical buildings in Minneapolis and was a major influence in the saving and rehabilitation of the Butler building in the Warehouse District and later the stunning possibilities of the Mill District of Minneapolis. Beyond her professional vision and expertise, she was a sparkling personality, had a contagious laugh, and was never shy about expressing strongly held political opinions. I had the privilege of being the president of the Walker board in 1986, when Tokyo: Form and Spirit, one of the Walker’s most popular exhibitions ever, opened. In the years leading up to that opening, Martin and Mickey traveled several times to Japan, spent extensive periods of time there getting to know Japanese artists, designers, architects, craftsmen and just getting immersed in Japanese culture. Needless to say, the scope and the attendant expense of the exhibition kept getting larger and larger as time went on. The final installation, which in fact ended up utilizing all of the Walker galleries, was truly impressive. Mickey was truly Martin’s partner, and the fully engaged co-curator of this marvelous and unique show. Of course, there were many stressful moments and, at times, even doubt if this whole enterprise would come off successfully or just blow up before it ever opened. We all looked for some levity and stress-relief in this long process. 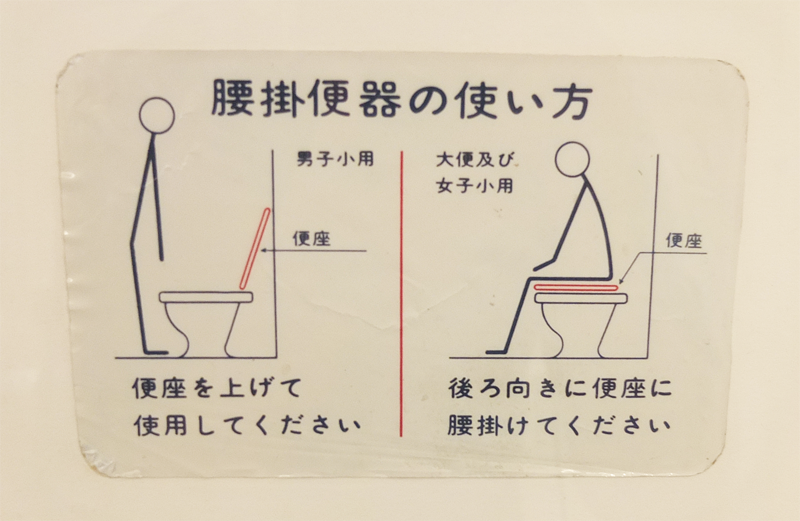 My favorite memento from this period is a plastic sign, which they’d surreptitiously removed from a Japanese train, instructing the locals on the use of a Western-style toilet. Martin and Mickey and Miriam and I had many laughs as both our families proudly displayed these signs in our respective bathrooms. They are still there! Mickey was a truly unique and very talented individual, a great friend, who will be sorely missed ! Abbott Miller and I had the amazing pleasure of working with Mickey in the late 1980s on her groundbreaking exhibition Graphic Design in America. She was the first real curator I had ever met, and she had so much to teach a young aspirant like myself. Her grace, intelligence, and kindness—and her patience with two green young writers—will always stay with me. Mickey Friedman thought with her eyes. She had a way to spinning stories, ideas, and insight out of objects and rooms. She had both extraordinary taste and the desire to illuminate the whole world with better design. Mickey had an amazing sense of adventure, independence, and generosity in her thoughts and actions. That combination led her to champion, explicate, and consider design from truly diverse vantage points. From the “spoon to the city” meant that Julia Child, Tokyo, and Frank Gehry were all expressions of design. There was a modernist current to her interests, but not as a stylistic vocabulary. She was interested in the public life of design, the formal experimentation of contemporary designers, but also the “commercial vernacular” that was evident in her Graphic Design in America exhibition. I co-authored an extended timeline-essay for her Graphic Design in America catalogue: I remember that Mickey came to New York to discuss the show with Ellen Lupton, who was curating great exhibitions on graphic design at Cooper Union. We saw her outline for the catalogue she was planning, and after she left we wrote her a letter nominating ourselves as the authors. Her response was along the lines of “I was thinking the exact same thing.” It was a leap of faith that she had probably made many times in her career, trusting her instincts and having confidence in her choices. I’ve been fortunate to have had multiple occasions and experiences touched by Mickey, Martin, and their daughter, Lise Friedman, who was the editor of the first magazine I designed. I know multiple projects can be traced back to Mickey, directly or indirectly, and that I am one of many designers whose lives have been deeply influenced by her intelligence, charm, and vision. I know Mickey had a formidable professional presence and was responsible for a lot of the cool cachet the Walker seemed to hold for me and everyone who encountered it. Eames chairs in the offices (and even in the projection booths)! I knew she struck fear into others, but I was struck by how, on Martin’s arm and in her home, she always seemed like a benevolent sidekick with a kindly smile. Her roles as sophisticated homemaker and mother were more apparent to me. I was in their home several times at gatherings and parties. Me — a nobody at the time. I shook Robert Rauschenberg’s hand there! Mickey and Martin were both even friendlier to me in the years after the Walker when I would encounter them — treating me like an old friend. One of the few remaining faces at the Walker they still recognized. The Walker was the first place I worked out of college. As an ambitious, young professional, I clearly remember being in awe of Martin and Mickey as I realized early on how the work environment they created at the Walker was so extraordinary, very much a reflection of themselves. Their passion, drive, high standards, intellectual brilliance, work ethic, and aesthetic were eye-opening (and, at times, intimidating). Watching them taught me much about what it takes to be the best and to truly make a difference in one’s field. One memory that stands out for me occurred at an exhibition planning meeting in Martin’s office. Mickey and I were present along with a few other staff. During much of the meeting she and Martin were engaged in a lively debate of various project details, with a little input from the rest of us. What struck me about their fascinating interchange was how respectful, yet candid it was, the rigor of their thinking, how carefully they listened to each other and, in the end, how constructive the discussion was in advancing the exhibition. It was a glimpse of what was likely a regular occurrence for them throughout their long, happy marriage. I observed many times how confident Mickey was when communicating her point of view. While each was mutually supportive of the other’s endeavors, she was an important collaborator and sounding board for Martin. For all of us privileged to know Mickey, it is apparent how instrumental she has been to the success of the Walker. I remember Mickey as a powerful quiet force at the Walker when I worked there in the 1980s. She had strong opinions and was a perfectionist of the highest order. Working with Martin and Mickey was not always easy but definitely made us all strive to be the best we could be. Her taste, style, and vision were unfailingly spot on. From mounting blockbuster shows like De Stijl and Tokyo: Form and Spirit to small details such as insisting on Alvar Aalto furniture in the Art Lab, she set the tone for the Walker in so many ways. When Mickey was planning the Tokyo: Form and Spirit show, she traveled to Japan with Martin and other Walker staff several times. I heard this story from Adam Weinberg (I believe) about a meeting with a Tokyo design contact. The Japanese man assumed Mickey was just a woman accompanying Martin and refused to talk to her directly. Needless to say, Mickey did not let this pass! She let the man know in no uncertain terms that she was in charge and I don’t think he made that mistake again. Mickey was invited to be on a planning commission for the city of Minneapolis. I went along to one meeting with her and saw first hand how her vision for our town did not always follow the prevailing opinions. There was excitement over the plans to add to the growing skyline of downtown. At this time the IDS building was the only real skyscraper. Mickey felt that there was no reason to build more tall buildings in Mpls because, unlike New York, we had so much space in the Midwest to build horizontally rather than vertically. I don’t think her opinion swayed too many in this case, but sometimes I wonder how different downtown would look if it had. I worked in the mid-Sixties for nearly five years at the Walker Art Center as design curator, editor of Design Quarterly, and graphic designer, writing, lecturing, publishing, and producing all visual communications and curating design exhibitions, even designing graphics for the early Guthrie Theater. I practiced an inclusive approach to design, something Mickey not only carried on but excelled in it. Her focus on urban design, her involvement in getting good national and international designers and architects in designing in and for Minneapolis, resulted in this area to become known as a center for good design. After leaving the Walker I was not dismayed when I learned that Mickey took over the design curator position and right away hired two more designers to assist her. We all miss her; the design community lost a great professional and a friend. Working with Mickey Friedman remains one of the most stimulating and important experiences of my career in design. We worked together on the major exhibition, Graphic Design in America: A Visual Language History, and it was while working on his particular—enormous—project, that as a graphic designer fresh out of graduate school, I learned from Mickey about the integration of design, art, culture, history, and experience—and so much more. She was unrelenting in making everything exceptional and had amazing taste. I thought she was the most insightful, brilliant person I had ever met. We often had lunch together in Gallery 8 and while enjoying a salad and the special of the day, carried on our work in planning and creating the exhibition, book, and programming. We always worked on Saturdays, because this was the day when we could really dig in and get a lot done without distraction. Every so often on a Saturday, Mickey or Martin would suggest we take a break and have lunch at their house. Mickey always made the most delicious lunches with simplicity and ease. She was so gracious and these are treasured moments in my memory. After lunch we’d head back to the office and work more, and often wind up having dinner and seeing a performance in the theater that night. With Mickey—as with Martin—work and friendship, experience and wisdom, good food and wonderful projects, all seemed to just continually flow into one another in the nicest way. Under the joint guidance of Martin and Mickey Friedman, for several decades the Walker Art Center maintained a leading presence in both the art and design worlds. Mickey’s catholic (small c) editorship of Design Quarterly brilliantly continued a tradition begun, I believe, as early as the late 1940s with Walker’s Everyday Design Quarterly, whose name belied sympathies with a movement begun in Sweden in the early part of the twentieth century. Each thematic issue surprised, delighted, and enlightened. Among those issues that come to mind are the number on Julia Childs’s kitchen, complete with its fold-out view of the chef’s realm, and the clip-on and plug-in architecture issue with Ron Herron’s “Walking City” on its cover. There were many others. My own contact with Mickey began with my proposal for what became Design Quarterly #115: Mapping Experience, which appeared in 1980. At that time my primary writing subject was graphic design, with articles principally for Print magazine. My long-standing interest in maps had been further stimulated in the early 1970s by a first visit to Japan, where the dearth of street names had given rise to an abundance of maps in a great variety of forms. It was an honor for someone new to design writing and publishing to be included in the DQ series. Perhaps from knowing of my interest in Japanese gardens and architecture, Mickey invited me to contribute to the catalog for the Tokyo: Form and Spirit exhibition in the mid-1980s. A planning meeting for the exhibition brought me to Minneapolis where I met Japanese design luminaries such as Tadao Ando and Shiro Kuramata, who over time became friends. I recall being asked to rewrite my essay several times, with each revision adding to the length of the text. Mickey stressed clarity and quality, and unlike my efforts for the DQ issue, wasn’t too concerned about word count. The show was stunning and the book became a classic and holds up well. My last professional contribution to the Walker’s design program was the historical overview essay for the issue of DQ that accompanied the opening of the museum’s sculpture garden in 1988. By that time my study interests had shifted from graphic design and architecture to the design and history of landscape architecture and the display of art outdoors. The assignment to review the history of gardens, the history of sculpture, and the history of sculpture in gardens—all in a very few pages—was certainly a challenge. Sadly, every effort for continuity on my part was torpedoed by the issue’s graphic designer, who under the misguided attempt to make an “interesting” page, shifted alternate paragraphs from flush left to flush right. Sadly, the printed voice that had intrigued and informed so many in the design world and general public ended with Mickey’s departure from the Walker. Her critical eye, energetic brain, curatorial bravado, and active interest in design of all forms, made her a great instigator, organizer, and editor. I am grateful for the opportunities she provided me personally; the design community, at least of my generation, is very much indebted to her for the forum she provided us. Designing the Regis Gardens and, after that, the addition to the Walker Sculpture Garden were among my first non-private commissions as a landscape architect. I wish every young designer could work first for people like Mickey and Martin, believers in design in the deepest sense and people who knew the value of cultivating those they believed had talent. When you worked with Mickey, there was joy and purposefulness and a sense that of course everything had to be the absolute best. I have to share a funny story about our first conversation. It was actually Mickey calling me on my 34th birthday. In those days, the phone rang and you answered it: no call waiting, no caller ID. The rest is history. But the story says it all: Here was someone who had done her homework, who was blindingly honest, and who believed in taking chances. With the passing of Mickey Friedman I not only have lost my first non-private client, I lost someone who pointed me in the right direction when I was a young man and made me, too, pursue excellence every time I can. There are few wonder-couples like Mickey and Martin in the world, and to this day I have in my office a copy of their going-away party’s schedule of events, designed by David Hockey; many older readers will remember this gorgeous image. It’s of Martin and Mickey doing a crossword puzzle together. Working for them felt the same: You were never sure if you were talking to one or the other, and of course you were always talking to both. I am saddened by the world’s loss of a great advocate for design.